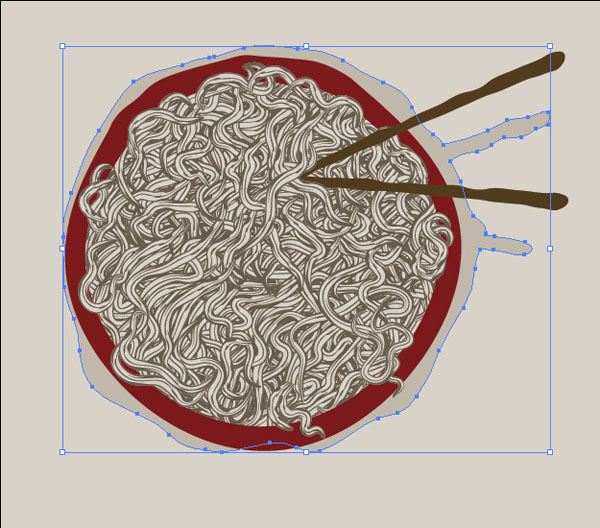 In this Illustrator tutorial, I am going to show you how to use Transfuchsian’s hand drawn sketch brushes to quickly draw out a bowl of hand drawn noodles. 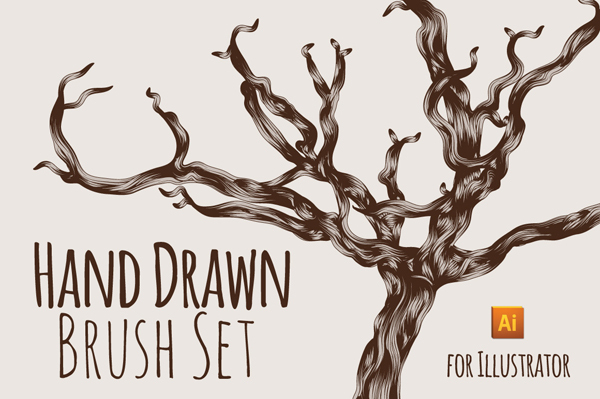 Before we begin, you will need to purchase and download Transfuchsian’s sketch brushes. You can pick them up over on Creative Market by clicking the button below. Step 1: Create a new document and draw out a shape with the Rectangle tool (M) for the background. 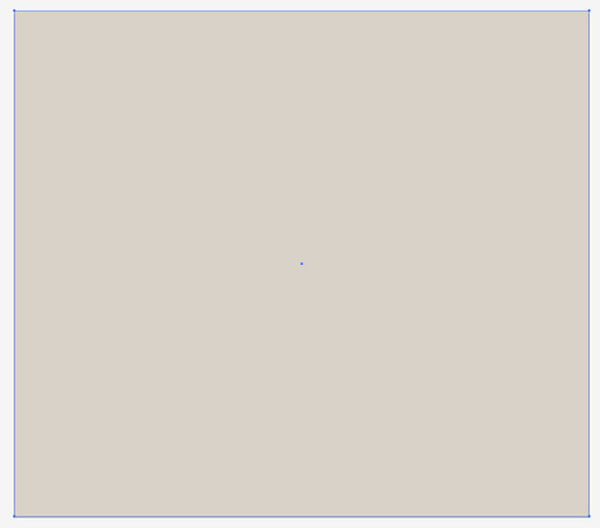 My background color is set to #D9D3C7. Step 2: Create a new layer. 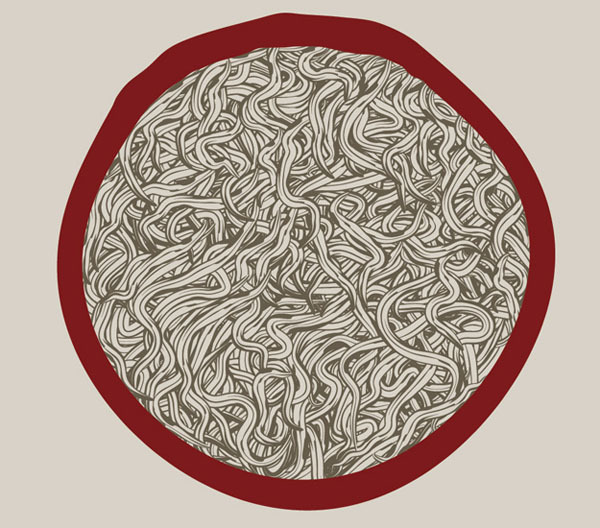 Using the pencil tool, I draw out a loosely round shape, which will be my bowl. I want the lines to be a little shaky to give it a sketchy, hand drawn look. The color is set to #7C1B1D. 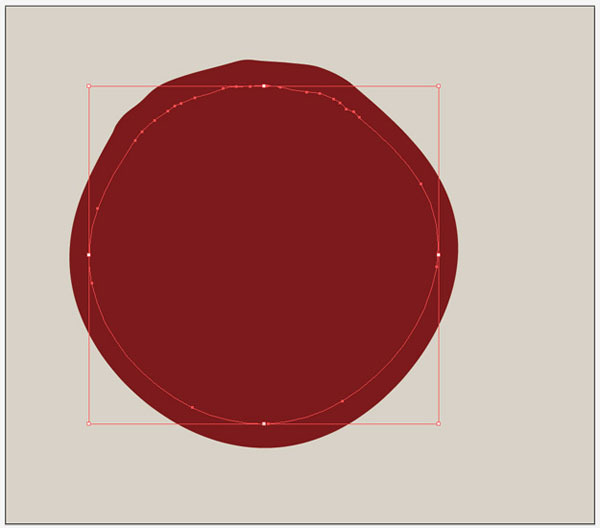 Step 3: Draw out another loose circle slightly smaller than the first one. 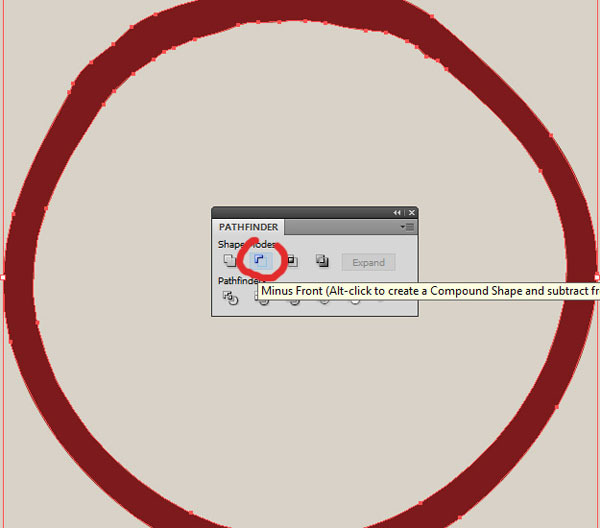 Step 4: Select both circles and pull up the Pathfinder panel (Shift + Ctrl + F9) and click on “Minus Front”. This will leave us with the outline and a little depth of the bowl. Step 5: Create a new layer underneath the bowl layer. 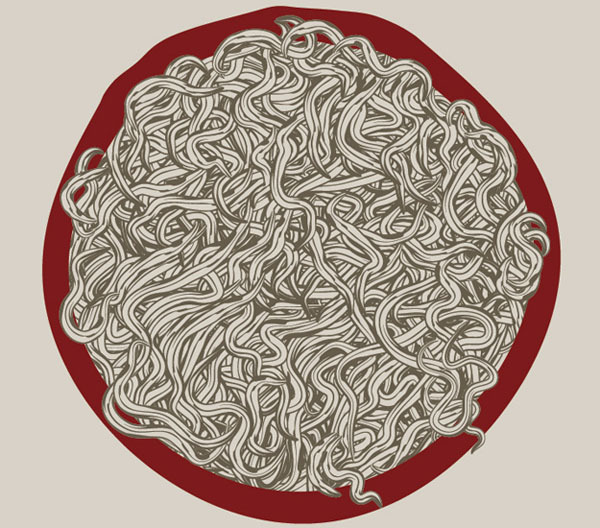 This is where we are going to draw out the majority of the noodles. Load up the brushes by opening the Brush panel (F5). 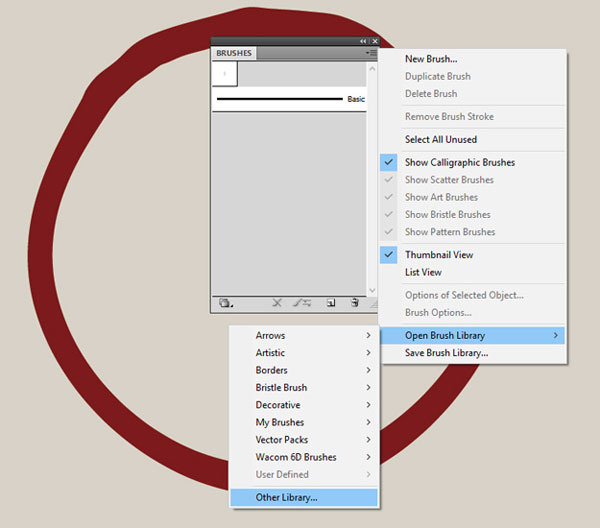 Click on the menu and go to Open Brush Library > Other Library. 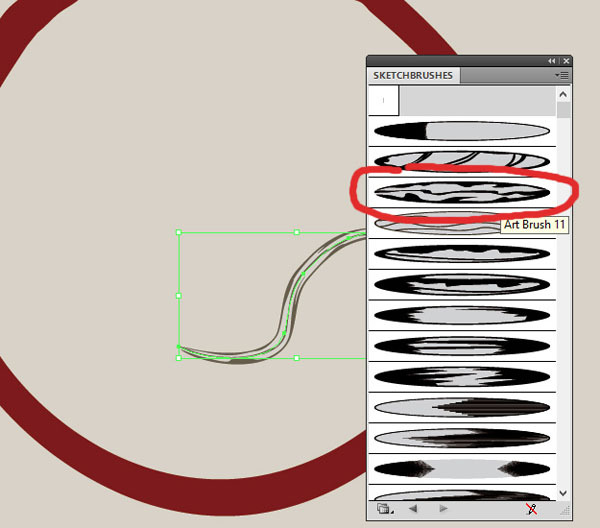 Navigate to where you saved the sketch brushes and open them up. Step 6: For the noodles, I am going to use Brush #11. I have set my stroke color to #675D4C. 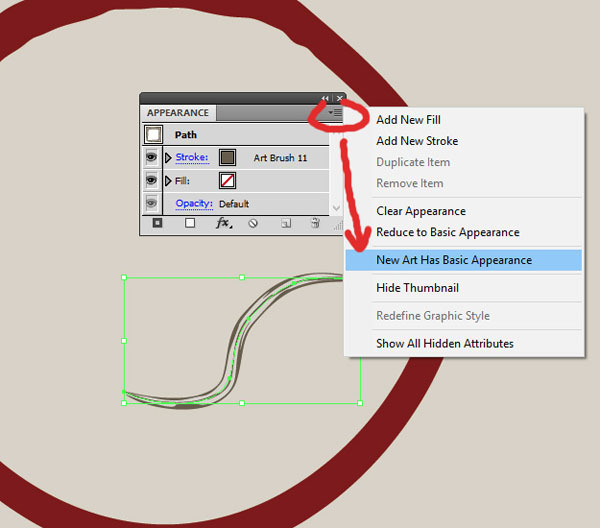 Step 7: To make this process a little faster, open up the Appearance panel (Shift + F6) and then click on the menu and uncheck “New Art Has Basic Appearance”. This will make it so that each stroke you make has the same brush settings applied to it. 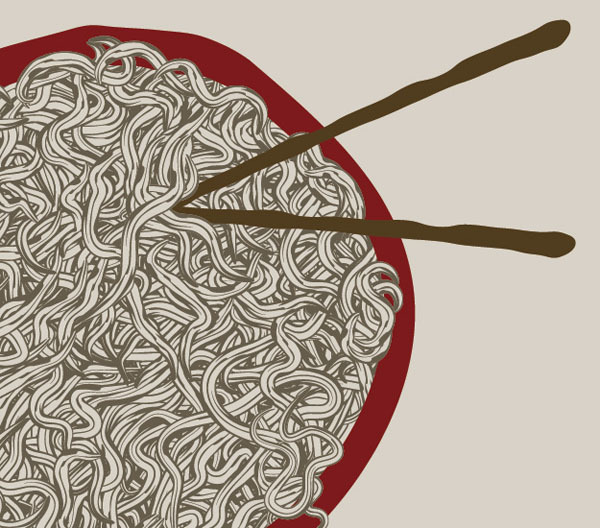 Step 8: Start filling up the bowl with noodles by just drawing out some squiggly shapes. You will keep overlapping them until you have a full bowl without any of the background showing through. Step 9: Here is what you should have after filling up the bowl. Step 10: Create a new layer above the bowl layer. Draw a few more lines that will hang out on top of the bowl shape. Step 11: Draw out some shapes for the chop sticks. 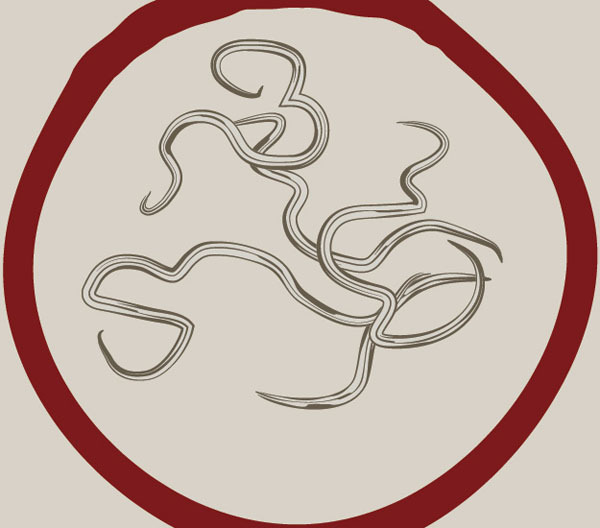 I have set the color of these to #513C1E. 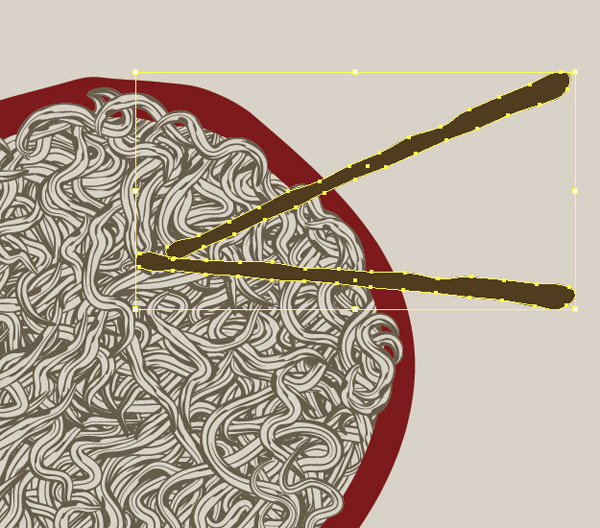 Step 12: Draw a few more lines with the art brush on top of the ends of the chop sticks so that the ends are under the noodles. And there you have it! You are done. 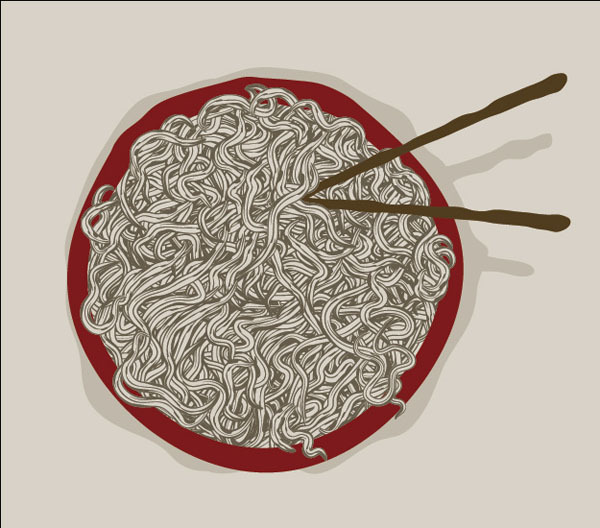 Thanks to our customer brushes, you can create a quick bowl of hand drawn noodles in no time.